Considered by many to be one of the best of the new wave of progressive rock bands, Spock`s Beard was formed in 1992 in Los Angeles. 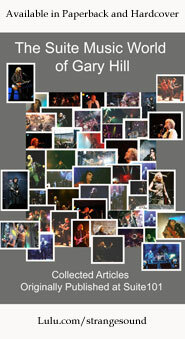 The lineup for the band is Neal Morse, Al Morse, Nick D`Virgilio (who was featured on several of the tracks on Genesis` Calling All Stations album), Dave Meros, and Ryo Okomuto. 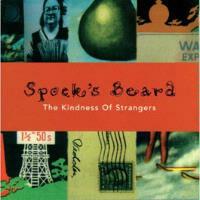 The Kindness of Strangers is the band`s fourth album, and third studio album. The music on this album deftly combines the `70`s progressive stylings of bands such as Yes, the `80`s psychedelic pop modes of Jellyfish and Lenny Kravitz and bits of Cheap Trick, while producing a quite original sound. The album should be available in stores everywhere or you can order it directly from the label. The price is $17.00 plus $3.00 shipping, and can be ordered by mail at Radiant Records, PO Box 123, Cross Plains, TN, 37049 (make checks payable to Radiant Records), or on-line at http://www.altura.com/jordanz/Spocks_beard/sb/cds.html. This instrumental intro to the piece essentially begins with some dramatic oboe strains, which are then joined by some very interesting keyboard work, just a bit reminiscent of Sugarloaf`s Green Eyed Lady. This segment gives way to a section much in the mode of Genesis, which then continues into a nice classically oriented movement. This then progresses into an electric treatment of an earlier section of the track. Dropping to acoustic guitar strumming, the first lyrical section of the piece begins. This flirts a bit more heavily with a pop/rock sort of mode, particularly when contrasted to the progressive feel of the introduction. This section does contain a lot of different styles though, going through many very interesting and surprising changes. The lyrics here address the lowest common denominator attitude that seems to pervade America. "We made a land where, crap is king,and the good don't last too long." This section has a rather emotional tone to it, and features an interesting string section, at times bringing to mind The Beatles. This string section serves up a satisfying conclusion to the track. Containing a nicely quirky intro, this one moves into a mode quite reminiscent of the `80`s psychedelic pop band Jellyfish. In The Mouth of Madness contains a Genesisish section as well, and progresses along quite nicely. A very unusual keyboard solo really sets this song apart. Beginning with some nice piano, a bass line very much in a Chris Squire sort of mode quickly joins in. This track, again, features some very Jellyfish oriented work which comprises the main structure of the song. Cakewalk is another track that includes widely varied musical styles interspersed in a quite interesting arrangement. A pretty acoustic guitar ballad, June contains some lovely vocal work. With the other instruments gradually joining in late in the song, this one is a pleasing and accessible piece, just a bit reminiscent of Genesis at times. Starting off in a classic progressive rock sort of mode, Strange World drops into a very nice groove for a few moments, before breaking into a lovely piano and vocal first verse. The song progresses from there, building on this same theme, but also includes some work quite reminiscent of Cheap Trick. This seems to be another song which addresses the odd priorities and the problems with society. " Jimmy made a handsome living, Juggling weapons in the park,It`s a very strange world, In a very strange time." The intro to this track is a powerful and very quirky progressive rock section with a guitar sound somewhat in a Trevor Rabin mode and some rather Rick Wakeman and Keith Emersonish keyboards. The song then calms down to string sound tinged keyboards and vocals for the first verse, being joined by bass and keyboards shortly. This track eventually moves into a section which calls to mind Steely Dan, before carrying on in an almost Dream Theater sort of direction. This direction does not last long, however, and the song falls into a very laid back and evocative keyboard and vocal section before returning to more traditional progressive rock leanings ala Yes and Genesis. This powerful track is my favorite cut on this album. This section starts the piece in a very traditional progressive rock mode. Actually it is quite Yes influenced, although possessing some other leanings as well, most notably, UK. The song eventually drops in both intensity and power, into a very haunting piano section. This piano segment makes up the first verse, and continues on beyond that verse, being augmented by other instrumentation. Eventually, the piece moves into a very potent progressive rock based groove. The ending to this movement is very nicely energetic and quirky. A rather unique rock and roll sort of section with some guitar work that seriously brings to mind Steve Howe, this section moves the piece forward. This eventually progresses into a more textured sort of approach featuring some piano work that is a bit similar to Elton John`s stylings. The track then jumps back into the more basic rock and roll mode before returning to the textured progressive approach. The ending portions of this movement reprise themes which were presented in the True Believer section of the piece. Into the source begins with piano and vocals, eventually being joined by the other instruments, in a progressive ballad sort of mode. This segment provides a fairly passionate and satisfying conclusion to the piece and the album, bringing to mind Genesis in the process.